A spoilt child is never satisfied. He wants every new toy and gadget that hits the market. An overindulgent child will drive his parents into bankruptcy if they are not careful. Do you know that some Christians are similar to the spoilt child? Everytime that they talk to God it is to ask for something. Fortunately, the Lord is wiser than us and He will not succumb to our greed and lust. Before God promotes you to a higher level He will first send you through the wilderness so that you will learn humility and patience. Before God gives you wealth He will give you wisdom because wealth without wisdom will lead to death and destruction. Proverbs 30 listed four things that are never satisfied. These are death, a barren woman, dry ground, and wildfire. They are likened to a greedy person. A person who is greedy will walk in the way of Cain and will receive the mark of sin (death). Their greed will make them run hastily to gain profit like Balaam. 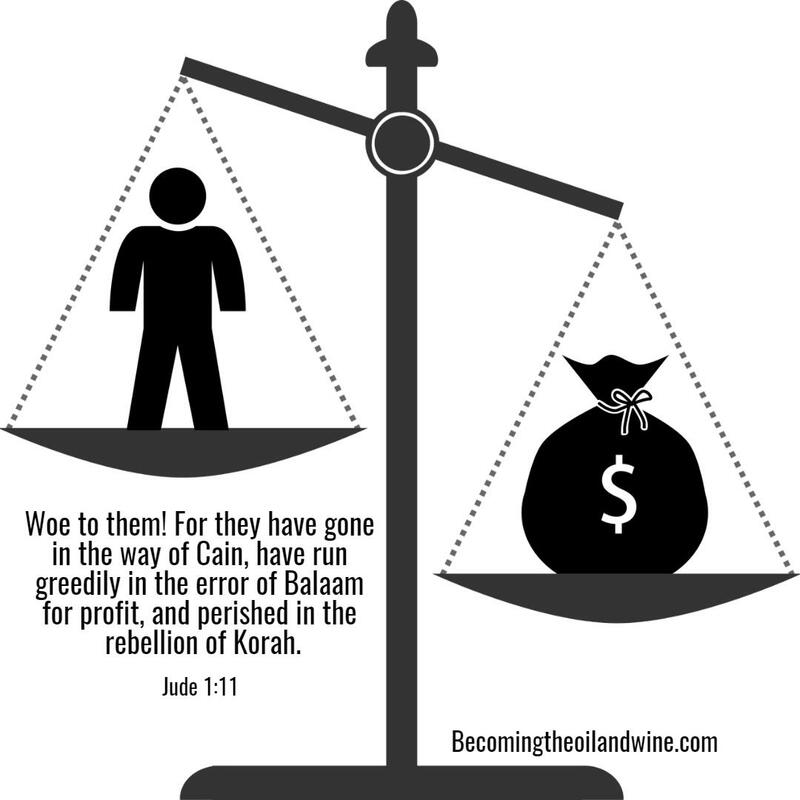 Greed can also lead to rebellion against authority, and similar to Korah, they will be swallowed up by an insatiable ground (Numbers 16). There are people whose teeth are like swords and their jaws like knives. They take everything they can from the poor. I really enjoy your blog style! Thank you very much. I appreciate it. Is there anything that I need to do? If you follow the link that I posted in the comment it will take you to my post which has the rules! :).